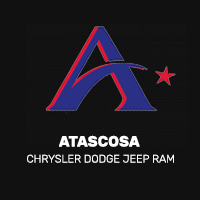 Getting car maintenance like tire rotations or new tires can often be stressful, but we want to make the process as painless as possible at Allways Atascosa Chrysler Dodge Jeep Ram. This is why we always offer rotating tire coupons, brake service coupons, and even parts coupons to Pleasanton drivers. Your Chrysler, Dodge, Jeep, Ram is your lifeline to the roads of Floresville, so it’s important to ensure that it’s in top shape and ready to take on the road. Once you’ve browsed our auto repair coupons online, visit our experienced technicians at our state-of-the-art service department and save on auto service today! New Mopar®/Magneti Marelli® Cabin Air Filter. Installation of filter. Must present the original coupon when first arrive for initial service. Customer is responsible for local tax and Shop Supplies fee. Valid for most makes and models. See Service Advisor for complete details. Magneti Marelli is a registered trademark of Magneti Marelli S.p.A. ©2016 FCA US LLC. All Rights Reserved. Chrysler, Dodge, Jeep, Ram, Mopar, SRT and HEMI are registered trademarks of FCA US LLC. FIAT is a registered trademark of FCA Group Marketing S.p.A., used under license by FCA US LLC. Rotate four tires. Some vehicles may be higher. Must present the original coupon when first arrive for initial service. Customer is responsible for local tax and Shop Supplies fee. Valid for most makes and models. See Service Advisor for complete details. ©2016 FCA US LLC. All Rights Reserved. Chrysler, Dodge, Jeep, Ram, Mopar, SRT and HEMI are registered trademarks of FCA US LLC. FIAT is a registered trademark of FCA Group Marketing S.p.A., used under license by FCA US LLC. A/C system performance check. Refrigerant and testing components for leaks are extra. Must present the original coupon when first arrive for initial service. Customer is responsible for local tax and Shop Supplies fee. Valid for most makes and models. See Service Advisor for complete details. ©2016 FCA US LLC. All Rights Reserved. Chrysler, Dodge, Jeep, Ram, Mopar, SRT and HEMI are registered trademarks of FCA US LLC. FIAT is a registered trademark of FCA Group Marketing S.p.A., used under license by FCA US LLC. Discount for one battery only. Electrical and old battery inspection/testing if required and installation extra. Must present the original coupon when first arrive for initial service. Customer is responsible for local tax and Shop Supplies fee. Valid for most makes and models. See Service Advisor for complete details. Magneti Marelli is a registered trademark of Magneti Marelli S.p.A. ©2016 FCA US LLC. All Rights Reserved. Chrysler, Dodge, Jeep, Ram, Mopar, SRT and HEMI are registered trademarks of FCA US LLC. FIAT is a registered trademark of FCA Group Marketing S.p.A., used under license by FCA US LLC. Blade replacement pair. Labor. Must present the original coupon when first arrive for initial service. Customer is responsible for local tax and Shop Supplies fee. Valid for most makes and models. See Service Advisor for complete details. Magneti Marelli is a registered trademark of Magneti Marelli S.p.A. ©2016 FCA US LLC. All Rights Reserved. Chrysler, Dodge, Jeep, Ram, Mopar, SRT and HEMI are registered trademarks of FCA US LLC. FIAT is a registered trademark of FCA Group Marketing S.p.A., used under license by FCA US LLC. Battery test. Voltage regulator test. Alternator/generator test. Must present the original coupon when first arrive for initial service. Customer is responsible for local tax and Shop Supplies fee. Valid for most makes and models. See Service Advisor for complete details. ©2016 FCA US LLC. All Rights Reserved. Chrysler, Dodge, Jeep, Ram, Mopar, SRT and HEMI are registered trademarks of FCA US LLC. FIAT is a registered trademark of FCA Group Marketing S.p.A., used under license by FCA US LLC. Front or rear disc brake pad or shoe replacement with Mopar®/Magneti Marelli® Brakes (semimetallic). Refacing/machining rotors or drums. Inspect calipers. Check brake fluid level. Road test vehicle. Some vehicles may be higher. Must present the original coupon when first arrive for initial service. Customer is responsible for local tax and Shop Supplies fee. Valid for most makes and models. See Service Advisor for complete details. Magneti Marelli is a registered trademark of Magneti Marelli S.p.A. ©2016 FCA US LLC. All Rights Reserved. Chrysler, Dodge, Jeep, Ram, Mopar, SRT and HEMI are registered trademarks of FCA US LLC. FIAT is a registered trademark of FCA Group Marketing S.p.A., used under license by FCA US LLC. Inspection of these and additional items not listed: tires/tire pressure. Windshield wipers. Exterior lamps. Cooling system mixture/leaks. Air filter. Fluid levels. Belts/hoses (excludes timing belt). Price does not include repairs, which may be required after inspection. Must present the original coupon when first arrive for initial service. Customer is responsible for local tax and Shop Supplies fee. Valid for most makes and models. See Service Advisor for complete details. ©2016 FCA US LLC. All Rights Reserved. Chrysler, Dodge, Jeep, Ram, Mopar, SRT and HEMI are registered trademarks of FCA US LLC. FIAT is a registered trademark of FCA Group Marketing S.p.A., used under license by FCA US LLC. Front or rear disc brake pad or shoe replacement with Mopar®/Magneti Marelli® Brakes (semimetallic). Inspect rotor, drum and caliper(refacing/machining extra). Check brake fluid level. Road test vehicle. Some vehicles may be higher. Must present the original coupon when first arrive for initial service. Customer is responsible for local tax and Shop Supplies fee. Valid for most makes and models. See Service Advisor for complete details. Magneti Marelli is a registered trademark of Magneti Marelli S.p.A. ©2016 FCA US LLC. All Rights Reserved. Chrysler, Dodge, Jeep, Ram, Mopar, SRT and HEMI are registered trademarks of FCA US LLC. FIAT is a registered trademark of FCA Group Marketing S.p.A., used under license by FCA US LLC.